Merrick Whole Earth Farms Adult Dog Cans - 12/13.2 oz. Whole Earth Farms canned food formulas were created as a truly holistic food at a value price, without compromising the quality of your beloved pet's food. Merrick Whole Earth Farms Puppy Cans - 12/13.2oz. 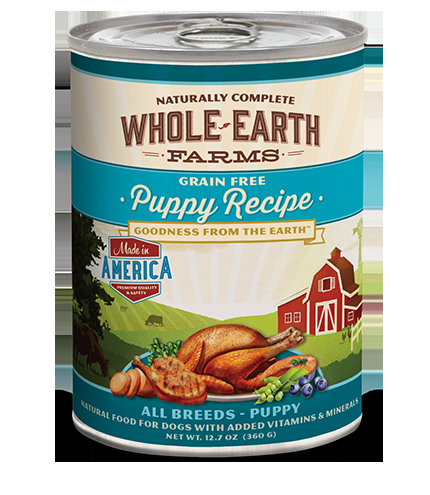 Whole Earth Farms™ canned food formulas were created as a truly holistic food at a value price, without compromising the quality of your beloved pet's food. Merrick Smothered Comfort Can Dog 12/13.2 oz. Down south we like to make things comfortable. It doesn’t get any better than homestyle chicken thighs smothered in gravy with a buffet of Momma Merrick’s ?xins. If you hear your dog yelping a loud Amen on the back porch, this is completely normal behavior. No matter the color of your state the Merrick Family says God Bless the Red, White and Blue! Merrick Thanksgiving Dinner Can Dog 12/13.2 oz. The house is filled with love and the wonderful smells of Thanksgiving infiltrate the air. Could it get any better as you fill your plate with juicy slices of turkey and all the trimmings? We don't think Thanksgiving should come only once a year, so we created this meal for your dog to enjoy all year round. Happy Thanksgiving from our family to yours. Thanksgiving Day Dinner is prepared with Turkey, Sweet Potatoes, Carrots, Green Beans, & Granny Smith Apples. Merrick Wilderness Blend Can Dog 12/13.2 oz. The wilderness - it's the call of the wild, the place where these native American flavors were first born. The original flavor of Buffalo, the untamed taste of Venison and the bold fresh taste of Salmon all mixed together for an excursion of the palate. The unharnessed flavor of Wilderness Blend awaits. The Merrick Family invites your dog to return to his first love - the wild! Merrick Turducken Can Dog 12/13.2 oz. Merrick Venison Holiday Stew Can Dog 12/13.2 oz. On New Year's Day you celebrate with an old family recipe that is timeless and delicious. The parades are on TV and the venison stew is simmering on the stove, filling the house with a wonderful aroma. Our family made this dish available after our dog, Annie, devoured a bowl and now expects it every day. The Merricks are going to the dogs. Venison Holiday Stew is prepared with Venison, Red Jacket New Potatoes, Carrots, Zucchini, Sugar Peas, & Red Apples. 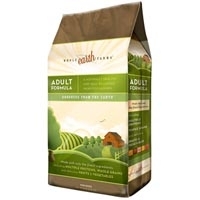 Whole Earth Farms dry kibble formulas were created as a truly holistic food at a value price, without compromising the quality of your beloved pet's food.